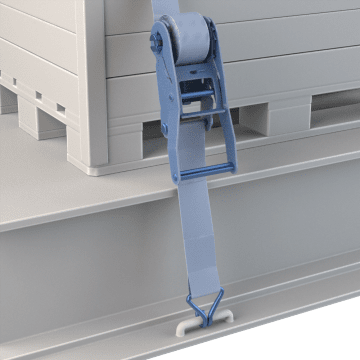 Use these tie-down straps with double J-hooks, also known as wire hooks, for heavy loads that are best secured with flat straps. Double J-hooks are frequently used to tie down small recreational vehicles and heavy equipment because they allow tie-down straps to remain flat when secured. 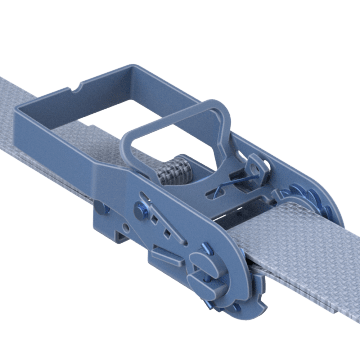 Typically used to restrain heavy duty loads, ratcheting straps provide tight, strong load security through an easy-to-use ratcheting mechanism to get the right amount of tension. These webbing-style straps are strong with little stretch, and offer good abrasion resistance. 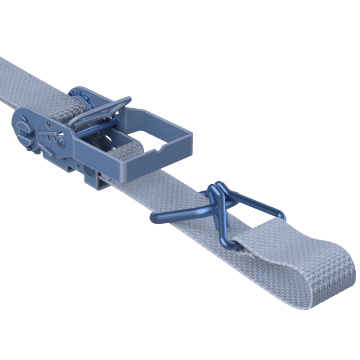 Also known as hook and keeper straps, these straps have a hook and ring on each end that allows you to create a loop with the strap to fasten around loads or anchoring points. A ratchet mechanism draws the strap together to form a secure restraint on the load. Great for use with irregularly shaped loads and anchor points.